The Banjo is a short pier at the entrance to the main dock channel just to the north of Middleton pier. It can be very good during heavy easterly or northerly seas on a big high tide during the winter when big bags of codling and whiting can be taken. If it is too rough to fish Middleton pier over high water then this is the place to be because the tide drops and the sea isn't so rough. You may then be able to move onto Middleton pier to fish the ebb. To the left is the deep channel and to the right a mainly sandy beach with some boulders. Distance casting isn't necessary because the water is deep on the beach side and in the channel. Snags are few, but beware of the channel edge which is almost a straight drop. Codling and whiting in winter. It is unlikely that any fish will show during calmer winter conditions. The summer will see lots of eels and the odd flounder. Mackerel can often be taken in big numbers when they follow the sprat shoals into the docks. Big worm baits tipped with white rag or razorfish catch codling and whiting, although crabs are good in October and November. Summer fish show to crabs and rag. 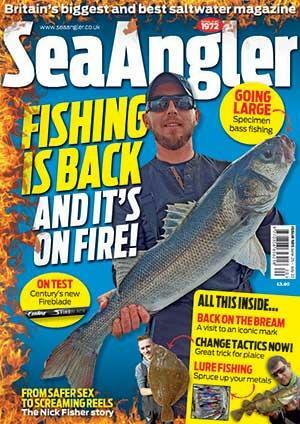 Mackerel take lures and float-fished baits in August and September. Use a beachcaster able to cast a 6oz grip lead and possibly deal with weed. An Abu 7000-type reel will be able to cope. Fish light in summer. Park next to the lifeboat station at the pier. Make sure you can see your vehicle at night. If in doubt, park in the marina car park and walk to the pier.